Our new promotional video has gone live on Youtube! It’s our first video since our company rebrand back in 2013 and showcases what we do best in Warehousing and Distribution with our dedicated staff. 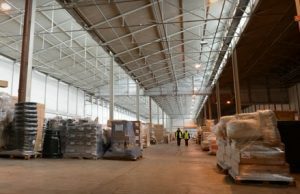 Our Warehouses have been used to store a multitude of different products over the years. One such warehouse currently contains extensive racking for palletised goods storage, but many years ago we used it to store grain. 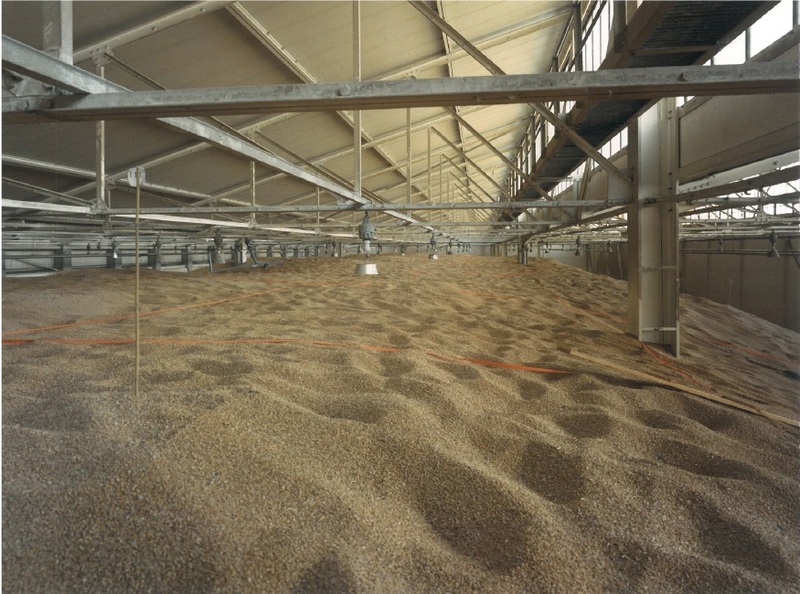 Check out the grain photo below with the second photo of the warehouse without racking and you can see just how much grain used to be stored in the warehouse! The warehouse full of grain! The warehouse without grain or racking. 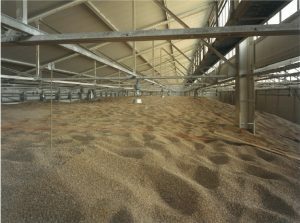 Compare the gantry at the top right of the picture with the same in the grain photo! 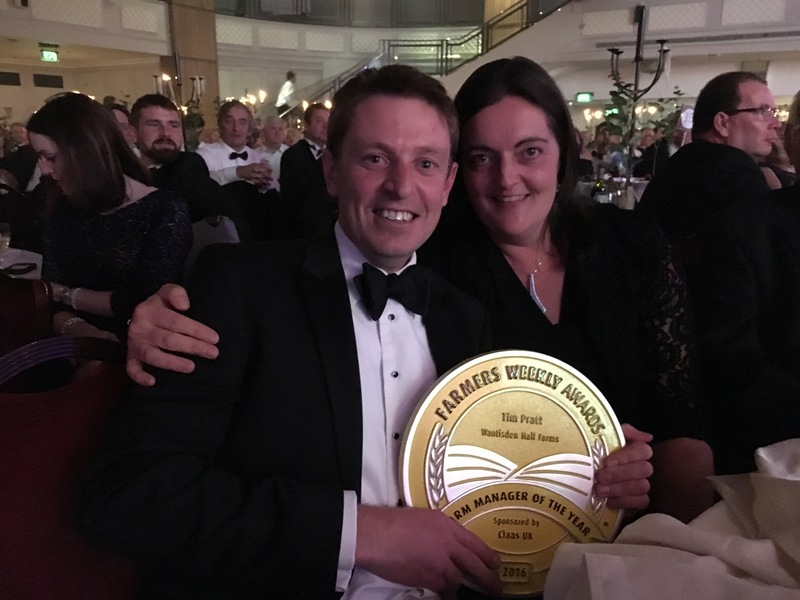 Celebrations are in order for Tim Pratt of Wantisden Hall Farms (part of the family group) who at the Annual Farm Awards at the Grosvenor House Hotel in London’s Mayfair won Best Farm Manager in the U.K. 2016!!! With 1500 guests of all movers and shakers in agriculture present; we all celebrate Tim’s success and dedication – hugely supported by his wonderful wife Charlotte. Tim and Charlotte celebrate with the trophy! 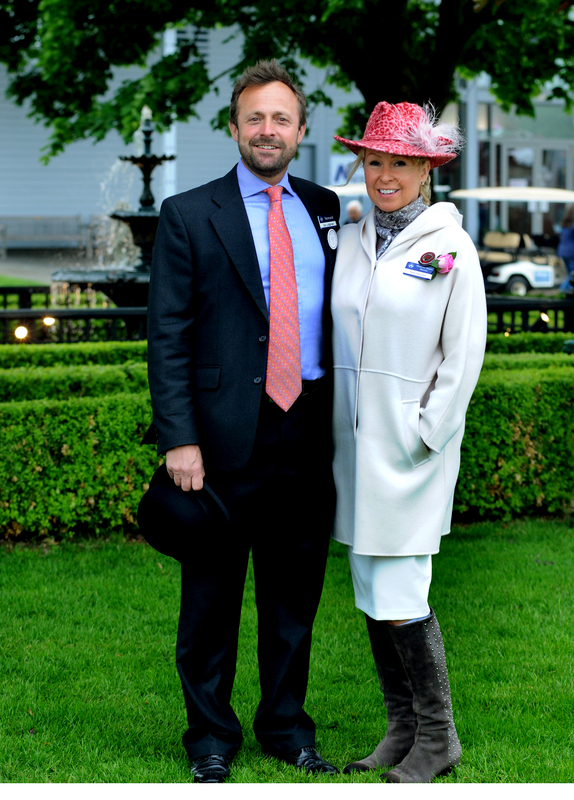 Massive congratulations from the whole Kemball family and all the team home on the farm. Big thanks also to Ed Blanchard from 3Ms for nominating him!!! 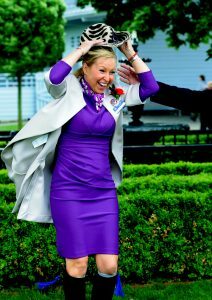 The Champagne will be flowing!!! 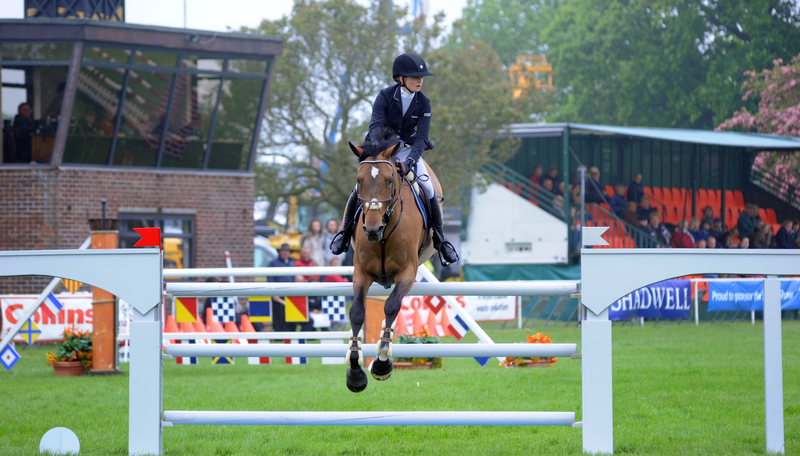 At the recent Suffolk Show, Debach was proud to sponsor The International Show Jumping Trial. 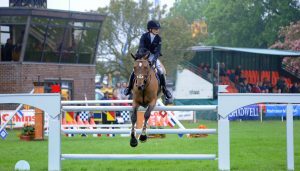 Amongst the jumps was the Orwell Bridge jump, iconic to the Suffolk Show and not liked by the riders or horses! 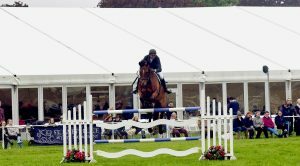 Michael Whitaker riding Conman JX won first prize, with Ms Holly Gillott riding Lammy Beach claiming second and Nigel Coupe on Golvers Hill coming third. Debach MD Bee Kemball presenting to the second place pair. 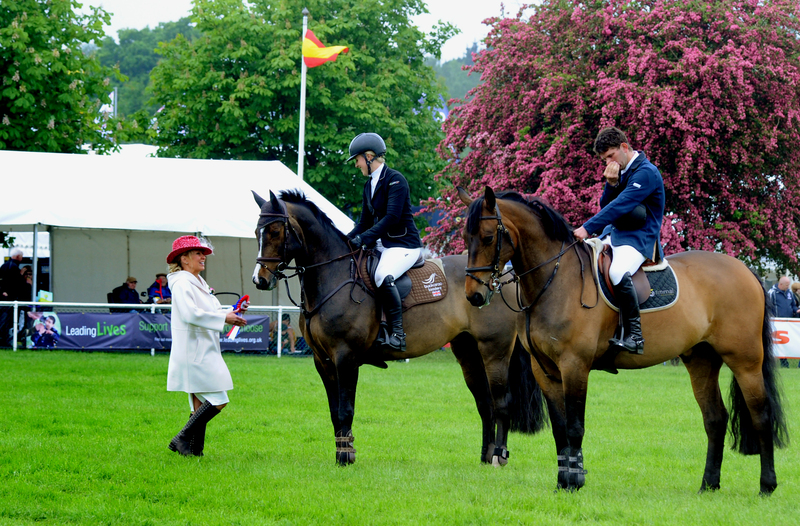 The first placed horse wasn’t keen to have anyone near him during the presentation! Debach are very pleased to be supporting the charity Lighthouse, who in turn support victims of domestic abuse here in Suffolk. This amazing organisation support families, who have been affected by domestic abuse. 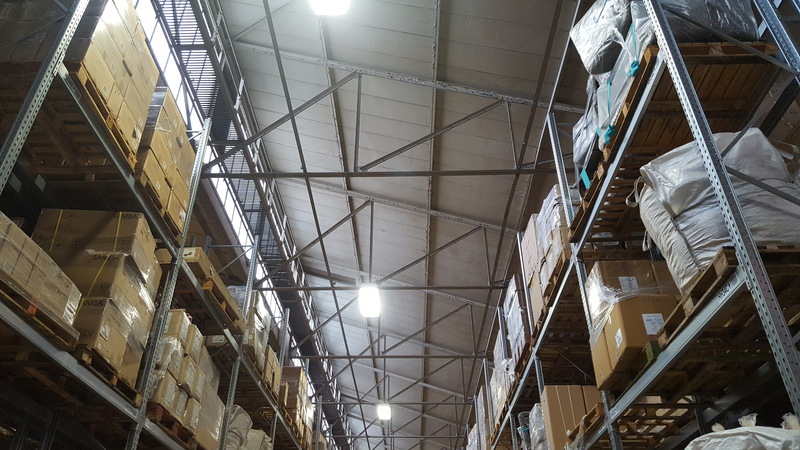 We have been able to assist their re-homing arm, by donating redundant (but new) domestic stock from the warehouse in Ipswich, which our customers are unable to sell due to packaging issues or end of line, and which otherwise would go for disposal. 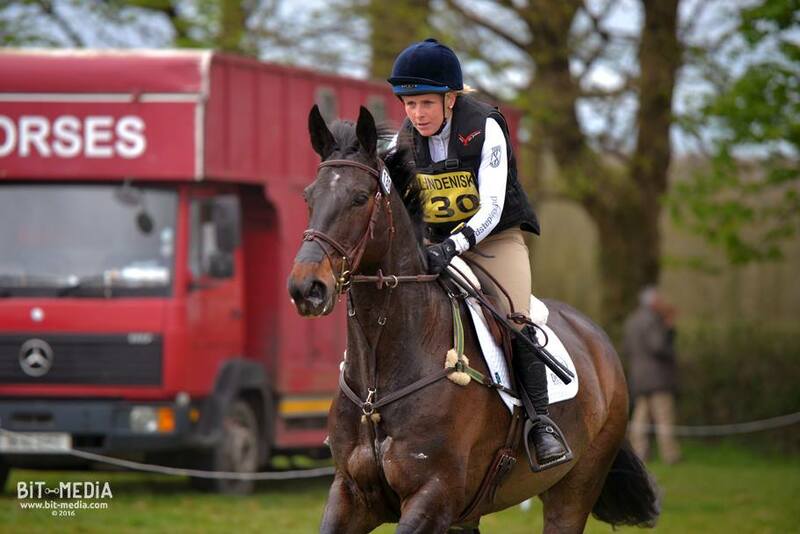 Debach are very proud to have sponsored Stacey Shimmons the Suffolk-based professional Eventing rider. 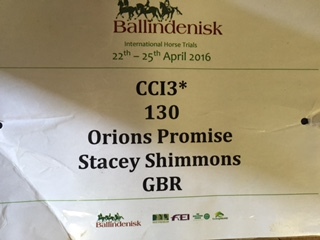 With her horse Orion’s Promise (stable name Ben) they recently made a trip over to Ireland to compete in the CCI 3* Ballindenisk International Horse Trials. 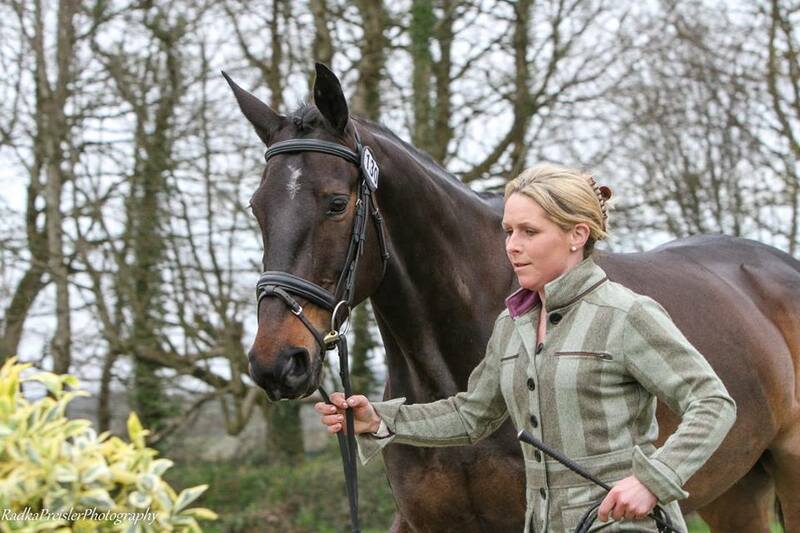 Stacey and Ben on the Cross Country course! It proved to be very worthwhile, with a fabulous clear round in the Cross Country and an overall placing of 13th against a truly international field. Well done Stacey & Ben!!! Well the results are in – and to be honest we think it’s a surprise for us all!! Looks like we will have some interesting times ahead. The UK and EU flags. 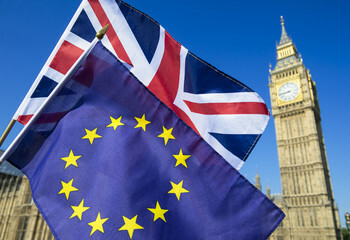 We have businesses based in both logistics and agriculture, so there will be many changes in legislation going forwards in both sectors; BUT we will find a path through the changes and continue to offer our customers the services they need to trade strongly here in the UK. Interesting times ahead for the Westminster and the country. The time for opinions is now over and the time to work together has just begun – Debach will continue to look forward and innovate accordingly. After a fabulous – if not windy – 2016 Suffolk Show, where Debach MD Bee Kemball took up the role of Honorary Deputy Show Director; she has now stepped up into the role of Honorary Show Director for the next three years. 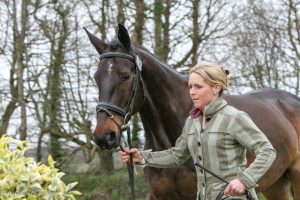 Bee is the first lady Show Director in the 185 year history of the Suffolk Agricultural Association, so this is a huge accolade for her from the county of Suffolk. 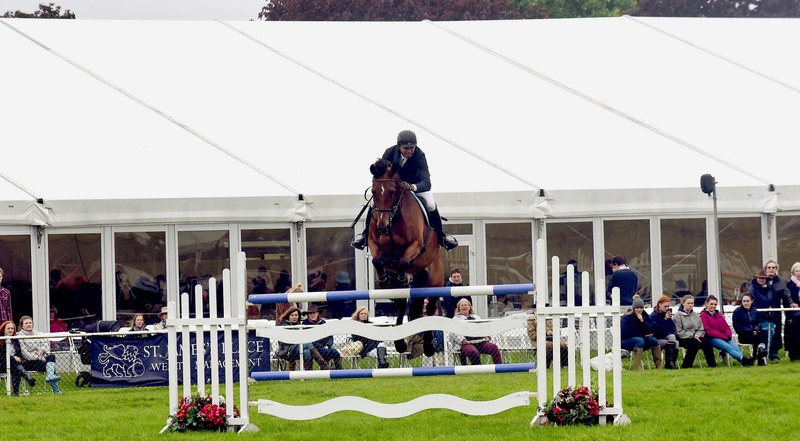 This year’s Suffolk Show was a bit windy! Luckily the Showground at Trinity Park is just a mile from our HQ here at Ransomes Europark, so she can pop over for meetings as needed quite easily – but be warned you might now see much more of her in the East Anglian and National press!!! Debach is proud to announce that we have obtained certification with the British Retail Consortium for their Global Standard for Storage and Distribution. 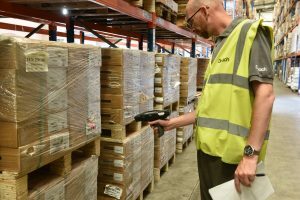 The BRC Global Standards is a leading safety and quality certification programme used by over 23,000 certificated suppliers in 123 countries. The standards guarantee the standardisation of quality, safety and operational criteria and ensure that legal obligations are fulfilled and provide protection for the end user. 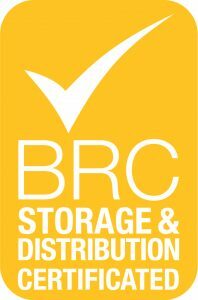 The BRC Global Standards are now a fundamental requirement of leading retailers that you see on the High Street and online. The certification is reviewed regularly ensuring that standards are met at all times and complements our current service to the retail industry. In addition to this, our TASCC and FIAS approvals have been renewed for a further year. 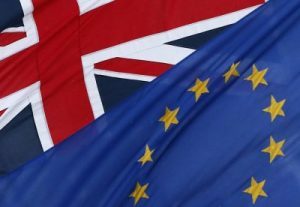 Both Trade Assurance Scheme for Combinable Crops (TASCC) and Fertiliser Industry Assurance Scheme (FIAS) assure traceability in the industry supply chains of crops (such as grains, oilseeds and pulses) and fertilisers. 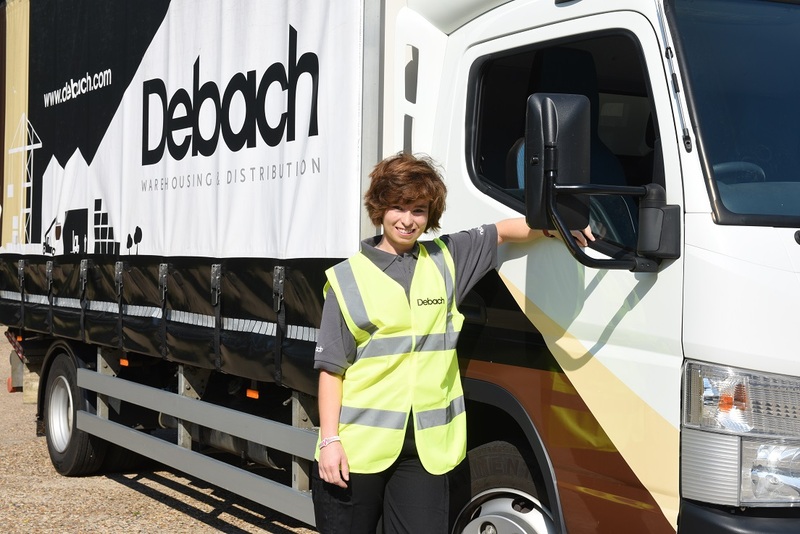 Debach is delighted to continue to be able to service these industries as we have done for many years. Debach recently took delivery of one of our brand new trailers as part of our ongoing refresh of the fleet. 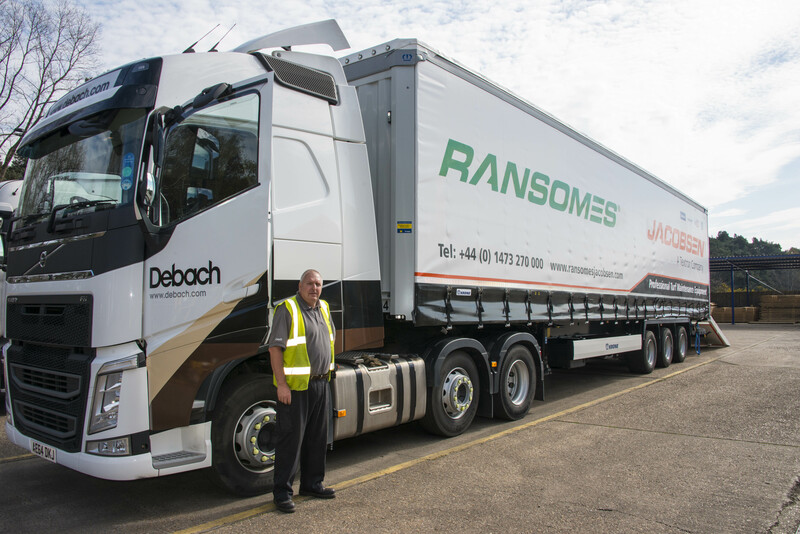 Driver Nigel ‘Albie’ Friend with his truck and the new trailer. 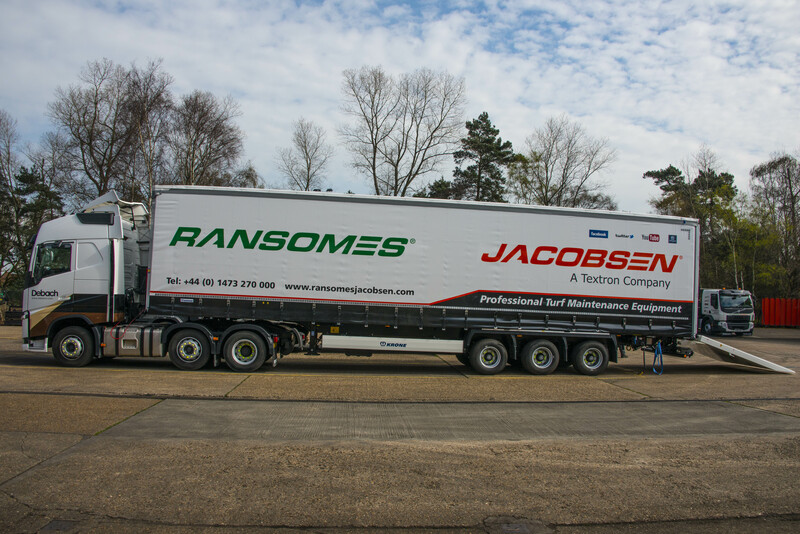 The trailer was made for us for the use of delivering professional turf maintenance machinery and golf course equipment throughout the UK on behalf of our customer Ransomes Jacobsen. 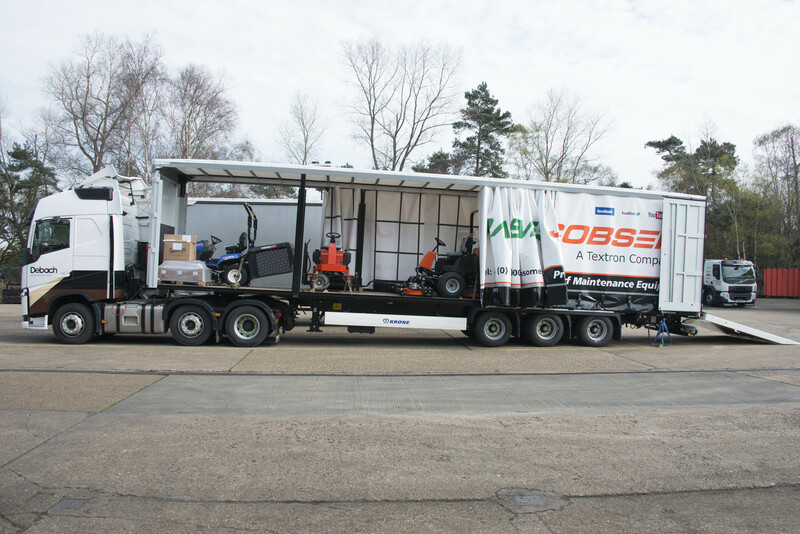 Our new trailer loaded with machinery for delivery. 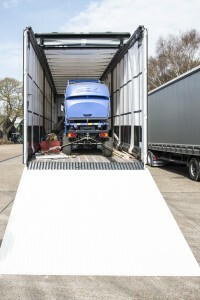 The trailer was manufactured by Krone in Germany and is a tri-axle “Paper Liner” with a sliding roof and hydraulic widening rear posts to allow the loading of large machinery. The hydraulic ramp in action! A full height hydraulic ramp has been manufactured and fitted by Webb Truck Equipment of Acton near Sudbury to enable equipment to be driven on and off the trailer. The new trailer making a delivery to the Iseki stand at East Anglian Game and Country Fair. In its first week the trailer has already made deliveries to the East Anglian Game and Country Fair in Norwich and to Windsor Castle for the preparation of Her Majesty the Queen’s 90th Birthday celebrations.